I love cantaloupe. This summer I was really enjoying the warm weather and wanted something light, easy, and cool to enjoy. Also, I generally have a crazy sweet tooth. What’s better than a cold melon soup? Take the cantaloupe and slice it without the rind and deposit directly in the blender. You don’t have to go crazy slicing since you’ll blend it up anyways. Add about 1-2 ish cups of almond milk. 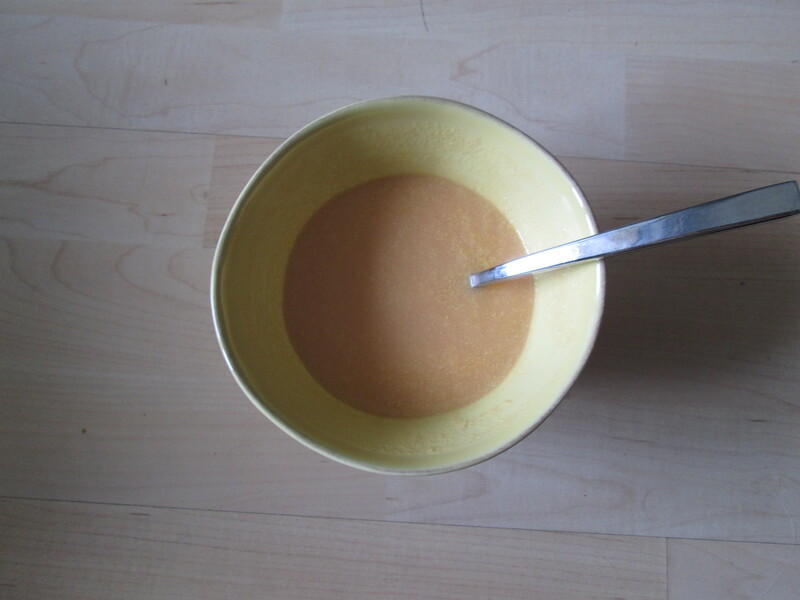 You want everything to blend freely and become a soup rather than something super thick. Add the coconut butter to taste. Probably good to start with not too much and add more as needed. The first time I made this is was like coconut soup with a twinge of cantaloupe. A little coconut butter goes a long way. Blend until smooth. This recipe serves about two generous portions. You could obviously easily make it larger or smaller since it’s such an inexact recipe! Serve cold. You can drink it as a smoothie or you can eat it as a soup. I’ve done both!